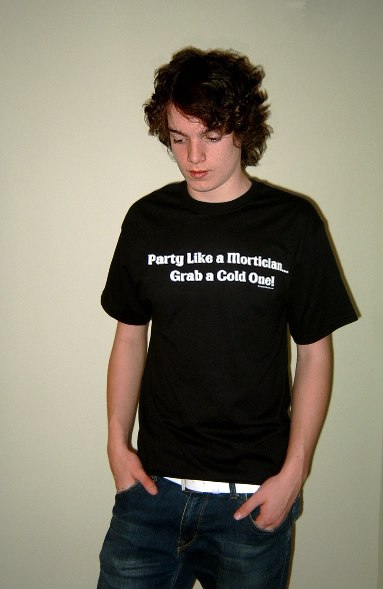 Party Like A Mortician... Grab a cold one! tshirt. This one should get ALOT of looks! Shirt is a black short-sleeve. 50/50. Available in M-5XL.